Established in the year 1958, the Department of English has been identified as"Star Department" under UGC-CPE Scheme. It comprises eight permanent professors and offers courses at U.G., P.G. and Ph.D. levels. It has an illustrious history with regard to eminent academia-- Dr. Siddique, Dr. A.Q.Khan, Dr. S.B.K. Murthy, Dr. B. Saxena, Dr. Chandani, Dr. S.C. Sharma and Dr G.P. Dubey, who contributed a lot to enrich its academic life. The department envisions to make its students proficient in English language.It aspires to sensitize the students towards literature keeping pace with new trends in language and literature. The Department works with the mission of giving its students a firm foundation of English language. Our mission is also to inculcate literary sense, aesthetic sensibility, humanistic understanding and cross-cultural literary insight in a conducive and naturalistic environment. The ultimate focus is to cultivate critical thinking leading to creativity and innovation. In its quest of realizing its vision and mission, the department organizes workshops, interdisciplinary extension and in-house activities. Eminent academicians are invited in an effort to not only enrich aesthetic sensibility but also to expose the students to the emerging trends in the field of literature and language. Personalities like Jayant Mahapatra, the renowned poet, Dr. Ashok Thorat, Dr R .K. Dhawan ,Dr A. N. Dwivedi, Dr K. G. Shrivastava, Dr S.B.Shrivastava, Dr Sudipta Sarkar , Dr M.C. 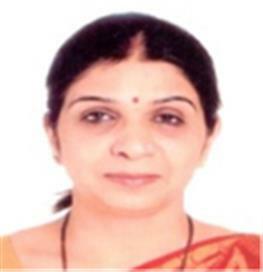 Saxena , to name a few , have visited the department in the past few years. With a view to give diversified understanding and vision of literature, the department offers courses in History of English Literature, Renaissance,Romantic, Victorian and Modernist studies, American literature, Indian writing in English, Indian Aesthetics and Criticism, Colonial and Post Colonial studies. Courses in Linguistics and Phonetics are also offered to introduce the students to the finer aspect of language learning. With the purpose of imparting proficiency in English language, the department organizes remedial classes for both UG and PG students.Very often student shaving little or no background of English literature opt for Masters in English literature. To bring them at par with students having background of English Literature, Orientation Programme is organized by the Department in the beginning of the session. As a research centre the department is known for high standards of research. The research areas gather to gather all the threads that makeup the fabric of English literature and language. In terms of infrastructure and resources the Department has a Language Lab, setup under CPE scheme of UGC. It is well equipped with ICT facilities, high quality software and books, CDs and DVDs along with other basic amenities. In November 2002, a new chapter began when the department became the authorized research centre of Pt. Ravishankar Shukla University, Raipur. Since its inception the centre is known for its high standards of research with a strong commitment to excellence in research. The centre aims at carrying out research both in traditional and current areas of English studies. In addition to core English literature and American literature components, it encourages work in new literatures in English, Indian Writing in English, African- American Literature and Colonial and Post colonial Studies. The faculty of the department is also engaged in research projects funded by U.G.C. Two minor projects have been submitted by Dr. Somali Gupta and Dr. Suchitra Gupta on the topics "Development of Oral Communication Skills for the Backward Students of Chhattisgarh" and "Pre- Independence Fiction Writing in English" respectively. 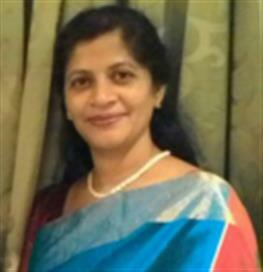 One minor research project by Dr. Mercy George on the topic "Excellence Model for Teachers in the Changing Scenario with Particular Reference to Teachers of English" was also submitted in the year 2016. The Departmental Research Committee was formed in the year 2011 with the Principal of the college as its Chairman and the Head, department of Hindi as the coordinator of arts faculty. The committee has two departmental members. Ph. D. Coursework for research scholars is also undertaken by the Departmental Research Committee. Apart from easy access to the Central library and to extensive collection of primary research material, the research scholars are provided with a comfortable space to carry on their research. To enhance the research culture among the researchers, research seminars are organized and their participation is encouraged. In the last few years 17 doctoral degrees have been awarded. The faculty and the research scholars have published research papers in various national and international journals in the last five years. “Conflict , East vs West and Inferiority Complex in Orhan Pamuk’s ‘ The Silent House’”. 1. Colonial and Postcolonial Literature. The seminar aimed at bringing various thoughts and understandings on subjects and also comprehending how far Indian writings in English have been successful in providing literature charged with Indian sensibility. A Five-Day Workshop on Developing Soft Skills. A Seven-Day Workshop on Developing Soft Skills for PG. Students. Ten Days Workshop on Know the Basics of English Grammar and Correct Your Language. With globalization having opened up new prospects for those proficient in English language and well up in their knowledge of English ,the ability to speak ,listen, question and write with conciseness and clarity are essential for all students. With this objective in mind the department organizes workshops on communication skills at state level,sometimes volunteered by private institutions and more often by the faculty of the department .Besides the conventional methods and resources available as the means to acquire proficiency in the target language ,technology offers an opportunity to exploit ICT facilities and other technological devices to make teaching and learning effective and interesting. Communicating in English is a major problem for the students who come from semi-urban or rural background and whose medium of studies is not English .Hence pertaining to our mission the faculty takes it as an onus to prepare our learners to enhance their language skills through skill-building programmes. � 2010: Two Days' workshop titled "Sikharr" on communication skills was organized by Le Magnus School of Management. 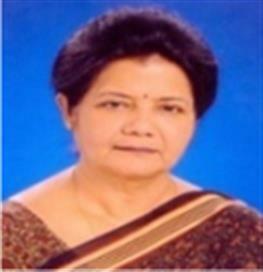 � 2010: Five Days' workshop from 22nd November to 26th November was conducted by departmental faculty Dr. Nirjarani Pathak. � 2010: Two Day's workshop on 27th and 29th November was conducted on 'Personal Grooming' by the departmental faculty- Dr. Qamar Talat, Dr. Tarlochan Kaur and Dr. Meena Maan on Etiquettes, Manners and Hygiene. 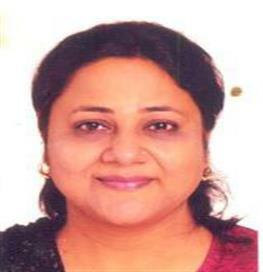 � 2010: Two Days' workshop from 28th and 29th November on Personality Development and Interview Skills was conducted by the then departmental faculty Dr. Somali Gupta. � 2011: Two Days' National workshop on English Language ie., on 26th and 27th November was conducted by Rtd. Prof. Rehman, Mr. Tauseef- Ur-Rehman (MMCT) and Ms. Reena Jain (NIT, Raipur). � 2013: Two Days' U.G.C. sponsored state level workshop on 'Enhancement of Communication Skills' conducted by Rtd. Prof. Rehman, Mr. Tauseef- Ur- Rehman and Ms. Reena Jain was organized on 2nd, 3rd February 2013. � 2013 : Two Days’ Workshop from 26th to 28th October 2013 was organized for teachers. It was titled 'Enhancement in Spoken English Studies' and was conducted by Mr. Tauseef- Ur- Rehman, Asstt. 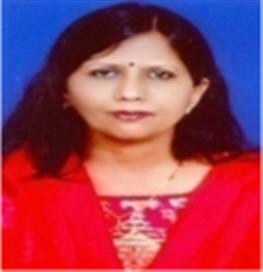 Professor of English at MMCT,Raipur , CG. � 2014: Three days' workshop was conducted for the PG. students of Physics on "Proficiency Development in English" by Dr. Tarlochan Kaur, faculty, Deptt. Of English. � 2015: Seven days' workshop on 'Developing Soft Skills' for PG students organized by the departmental faculty. � 2015: Ten Days' workshop on 'Know the Basics of English Grammar and correct your language' was conducted by Dr. Nirjarani Pathak, a faculty of the department. � 2015: Two days' workshop on' Personality Development and Interview-skills' was organized by the department on 3rd, 4th February 2015. The workshop was conducted by Dr. Somali Gupta. � 2016: Two days’ workshop on Communication Skills was organized in the language lab for PG. students on 8th and 9th March,. 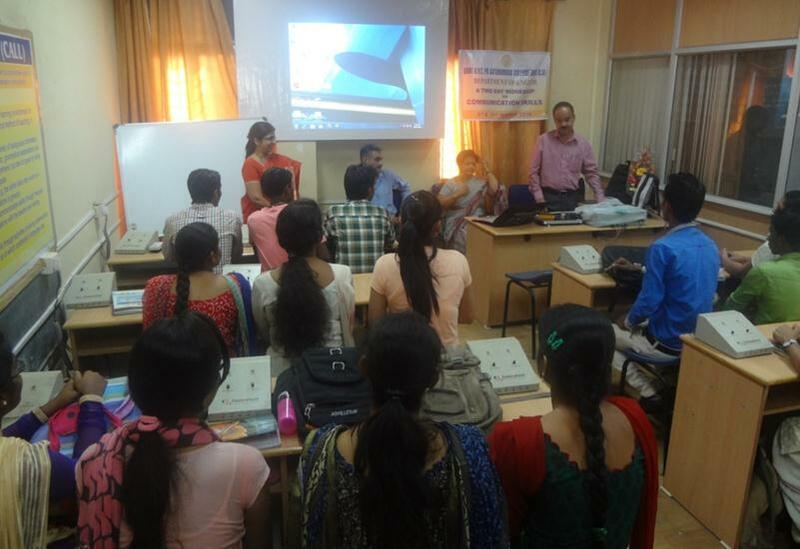 The workshop was conducted by Dr. Chandrashekhar Sharma, Professor of Humanities, CSIT, Durg. � 2016: A Five days' Workshop on Developing Soft Skills was organized in the language lab for PG. students from 7th to 12th September. The workshop was conducted by Mr. Niraj, Professor of Computer Science, Govt. V.Y.T. PG Autonomous college, Durg. � 2016: A Two days' Workshop on English Language Skills was organized by the Department on 24th and 25th November. The workshop was conducted by Dr. Tapas Mukherjee, Professor of English Govt. college, Bhilai 3. In order to motivate the students to read and ponder over the interpretations, they build after a wide reading, the departmental library has an extensive collection of reference books, texts and case books. The students, though most of them without a literary background explore the library shelves to build up love for literature, faculty puts every efforts and extends help enabling them to get into the matter and content of the reference books for seminars, assessments and assignments. Departmental Library consists of more than 500 Books for PG. Students. Dr Aleem Khan, Professor and Head, Department of English. Dr Tapas Mukherjee, Professor, Department of English. 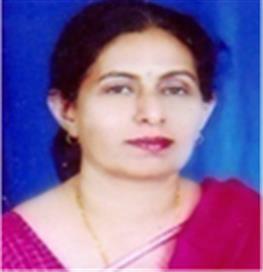 Dr Amrita Kasture, Professor and Head, Department of English. 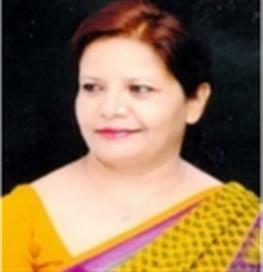 Dr Nigar Ahmed, Assistant Professor, Department of English. Lecturer, Higher secondary school, Durg. Seven days’ Workshop on Developing Soft Skills for PG. Students.